Had some fun with this one, used a leftover piece from some blanks I made a couple years ago. 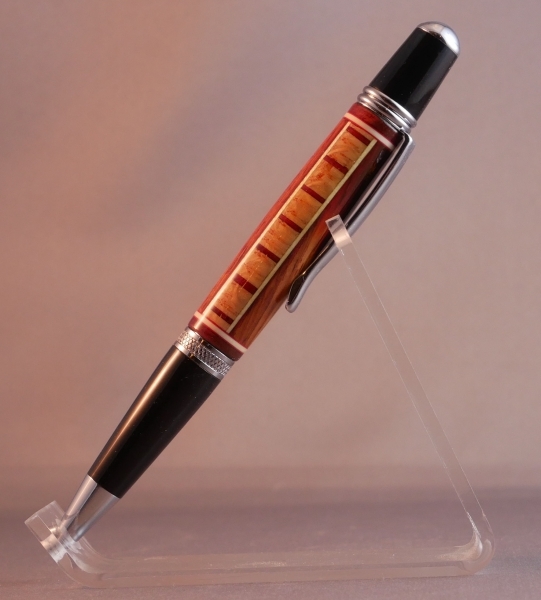 Woods used are Padauk, Oak and white veneer. Steve, Everything about this pen is spot on!...even the photos...well done! Not sure ‘simple’ is an accurate description, but it’s a beautiful pen, Steve! I have saved the group picture from that download. They each are amazing pens and I WILL copy them just for grins! 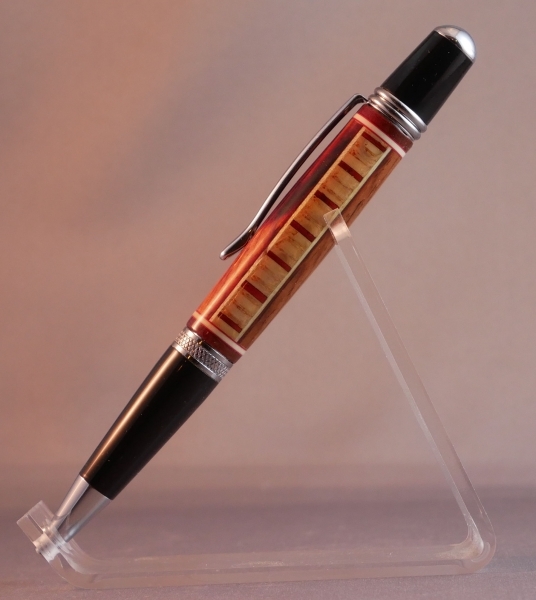 Its amazing what you can do with very common woods. Those pens are very beautiful.